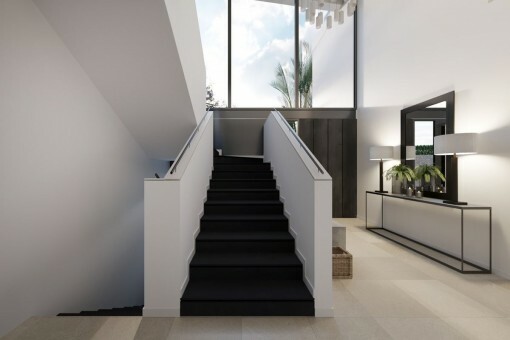 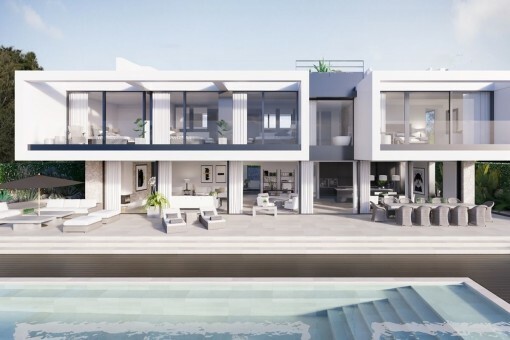 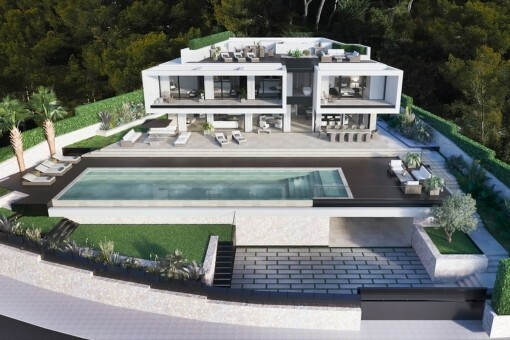 This modern and very luxurious newly-built villa is projected to be completed in the second quarter of 2018, and is situated in the tranquil and prestigious urbanization of Ca's Catala, not far from Palma and close to the golf club of Bendinat and a number of marinas and beaches. 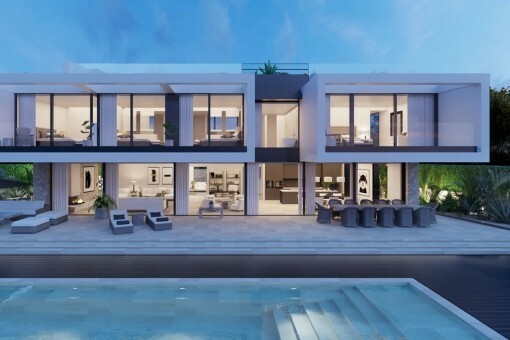 The wonderful, architecturally-modern property is in an elevated position and presents wonderful sea views. 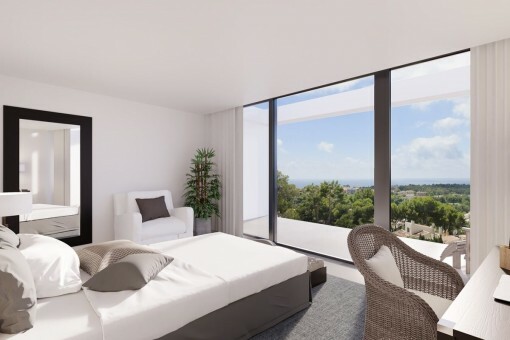 It is characterized by its spaciousness and brightness and provides an elegant but simultaneously very pleasant atmosphere, offering all amenities necessary to completely relax and enjoy. 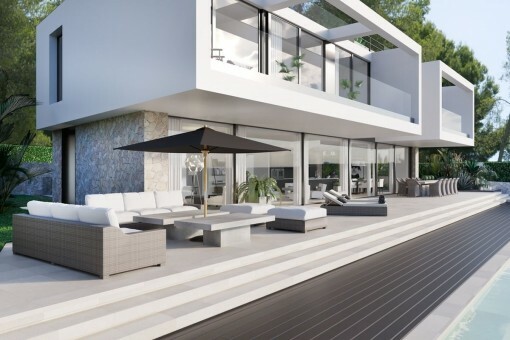 Apart from its 6 bedrooms with en-suite bathrooms there is also a home-cinema and a wellness and fitness area. 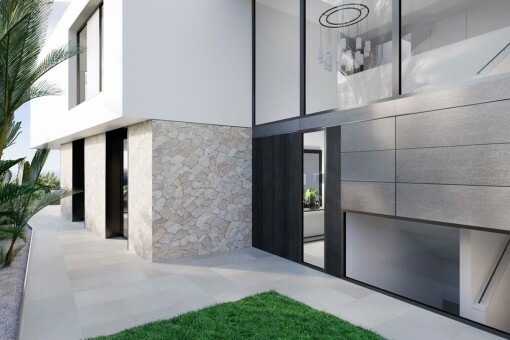 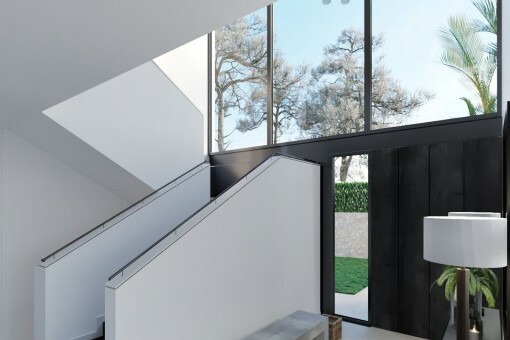 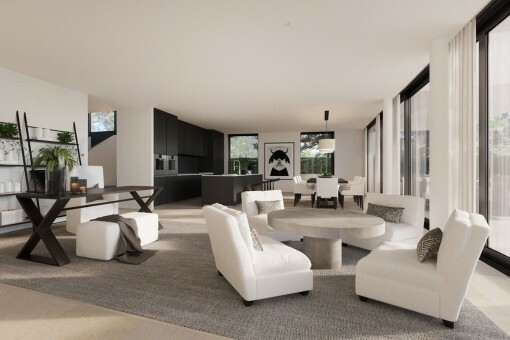 This property was designed and built with the cooperation of a renowned architects studio using only the highest quality materials and newest-generation technology. 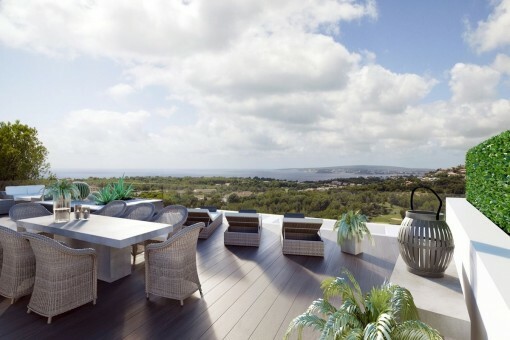 Life in the fresh air was of importance and the terraces as well as the chill-out zone on the roof terrace invite for sun bathing, and also to enjoy lovely evenings with family and friends with beautiful views of the sea in the background. 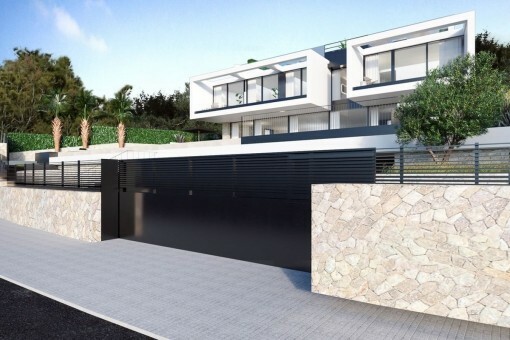 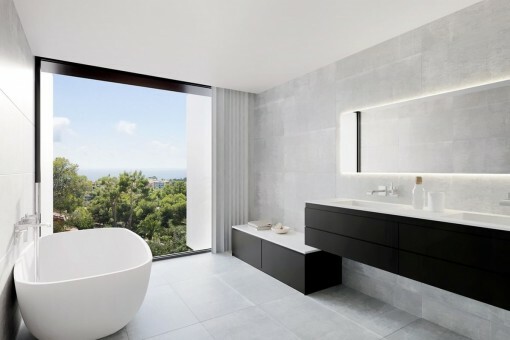 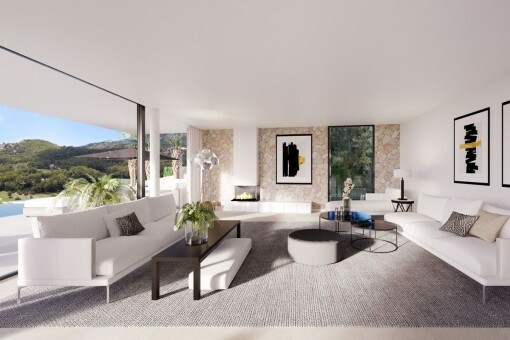 I'm interested in: Modern, luxurious newly-built villa with sea views in Ca's Catala (Objekt-Nr.111045). 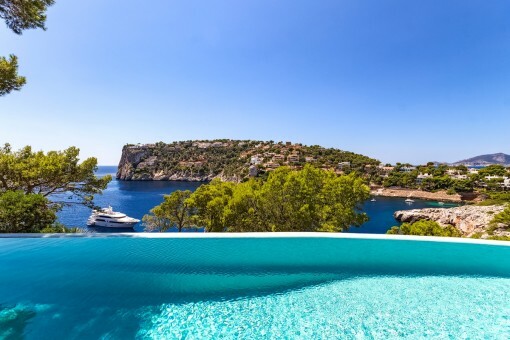 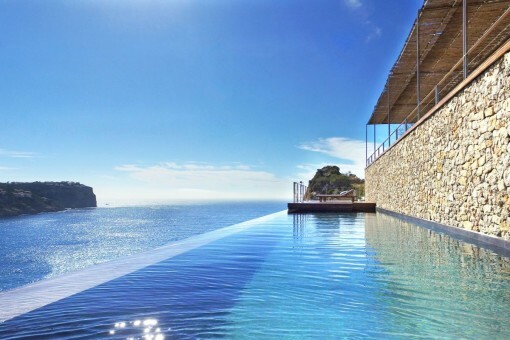 you are reading: Modern, luxurious newly-built villa with sea views in Ca's Catala-purchase · Porta Mallorquina Real Estate Rating 4,8/5 by 200 testimonials.